Phew! 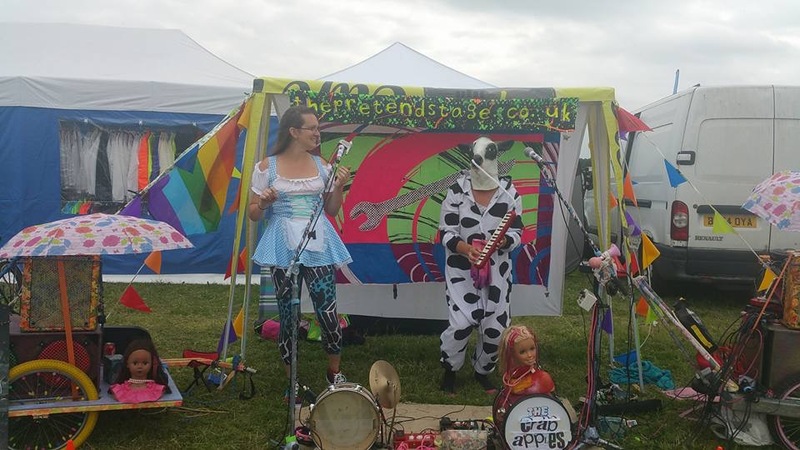 Still slightly glowing from the unexpected sunburn, this year’s expedition saw the return of The Crab Apples and Hexagon Chic, and the debut of the inimitable Petrol Cow at York Rally! Next up is Ladyfest at the Golden Lion in Todmorden on the 25th of June.